Researching the 1979 TCMA Spokane Indians team set brought my attention to Sept 24, 1982's combination of two unusual events. Cleveland's Ed Glynn holds the "record" for baseball's latest such wild pitch. On September 24, 1982, he entered a resumed game in the bottom of the 18th with bases loaded and one out. His first pitch bounded away from catcher Ron Hassey and Alan Trammell scored for Detroit, ending a game that started more than 3 months earlier (box score). 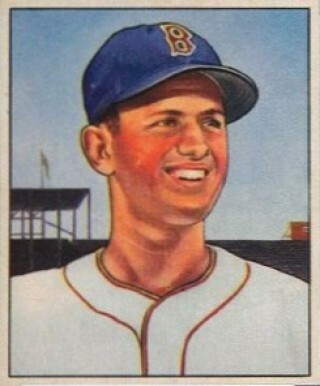 As it goes with inherited runners, that game's loss went not to Ed himself, but previous pitcher Bud Anderson. 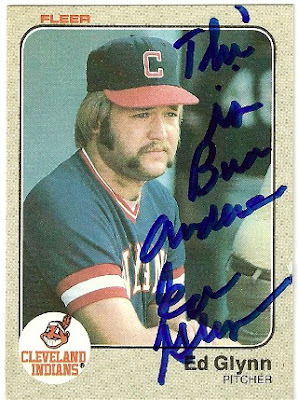 It would not be the only time misfortune linked Ed and Bud; check out this autographed and annotated 1983 Fleer #408. 18 innings is the longest such game I could find, but a couple dozen in baseball history fit the unfortunate story of "man meets ball, ball meets backstop, (different) man loses game." July 20, 2011: Chicago's Chris Sale leaves runners on 1st and 3rd with two outs in the 11th. Incoming reliever Sergio Santos short-hops a slider, Alex Gorden scoots home safely, and the Royals win 2-1. 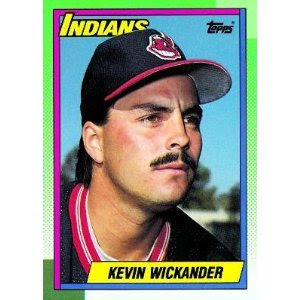 August 24, 1993: New York blows a 4-2 lead in the 9th, but utility man Jeff McKnight redeems their home half by smacking a pinch-triple and sprinting home when new reliever Kevin Wickander backstops his third pitch. Mets win 5-4. April 10, 1980: Opening day, Rangers vs. Yankees. After both lineups fail to score in 10+ innings, Texas loads the bases in the 11th with an infield single, sacrifice, and two intentional walks. 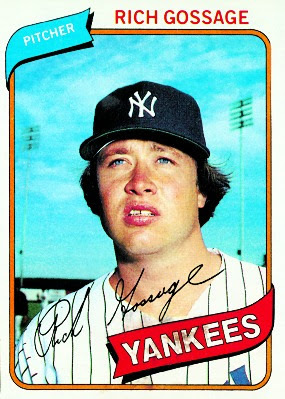 Future HOFer Rich Gossage enters, throws an un-Goose-like wild pitch, and Rangers win 1-0. June 20, 1965: This one happened in the TOP of the 9th, but sort of fits the mold. Minnesota and New York entered the inning tied 4-4. A one-out walk and single put runners at the corners, followed by this off-key pitching sequence. 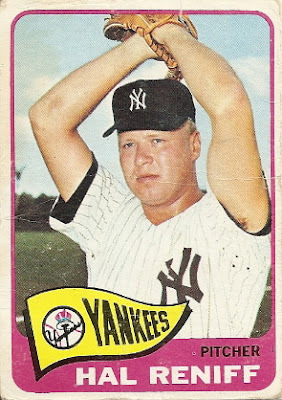 Minnesota swept that day's doubleheader and New York added injury to insult by losing Roger Maris for 49 games to a wrist fracture in the nightcap. Hidden irony to losing by wild pitch: it was bat day at Yankee Stadium (with awesome photo from the Times blog). September 28, 1949: Washington entered the 9th trailing Boston 1-0, but strung together three singles for a 1-1 tie. 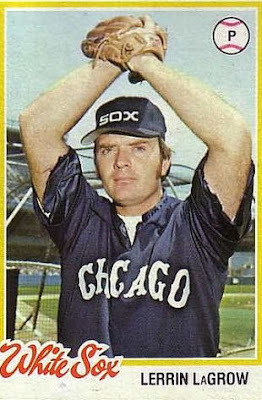 Veteran reliever Mel Parnell came on and foiled a suicide squeeze by pitching out for an easy "caught stealing" at home. Al Kozar took third as the trailing runner, a crucial detail when Parnell followed his heads-up pitching with "one that got away." Senators win 2-1; original Milwaukee Journal coverage courtesy of Google Archives. I found those seven games with this Baseball-Reference search and sometimes lose hours to statistical rabbit holes. Similar searches include lose-by-balk or lose-by-HBP. The Red Sox finished an amazing comeback with one of the former against the Angels on July 10, 1986, more details at "Rich Gedman, a Clutch Single, and a Balk." Any favorites that you've built at B-R.com or elsewhere? My mind is blown. That's am awesome post. And the sig on that card: amazing! Thanks, that card did indeed kick off most of the post! I'm a little late to the game for this blog post but I wanted to thank you for using one of my baseball cards! That's my 1983 Fleer Ed Glynn / Bud Anderson autograph card. I picked up the autograph from a private autograph signing with Glynn in 2011. No kidding, that's cool! I'll add your name as card credit and thanks for coming by to visit.